Where in the World Is the Envato Logo? 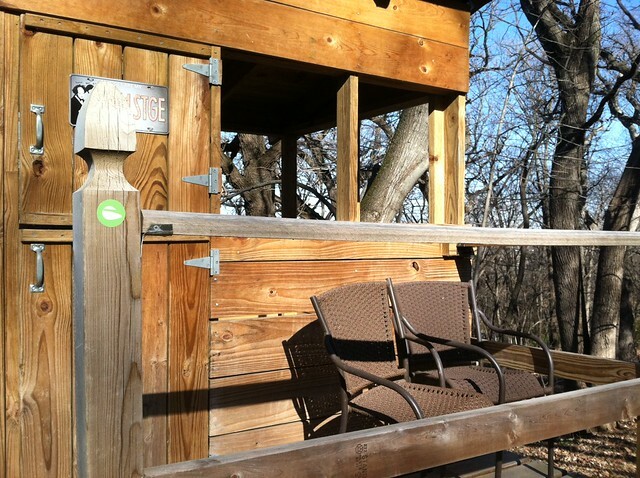 On a Tree House in Iowa. Last year Travis “KingDog” King ran an interesting competition. He’d send Envato logo stickers to anyone interested, and they would take photos of the sticker in interesting places from around the world. Over the next weeks we’ll bring you some of the best. So, where in the world is the Envato logo? On a tree house in Iowa. Click the photo for a larger version on Flickr. This is on the tree house I built my kids I see outside of my office window. That’s a great tree house, John. Are you ever tempted to move your work out of the office and into the tree?